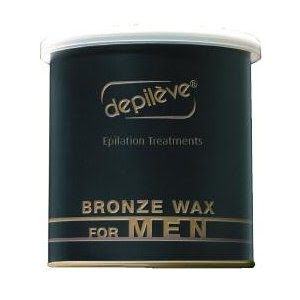 Depilieve's NEW Bronze Wax specially formulated for tough, thick hair. This soft, strip wax formula contains salicylic acid to prevent ingrown hairs and Ginseng to revitalize and repair skin. These days, more men are waxing rather than shaving to achieve a smooth gladiator look all over! (Mmmm... Spartacus). This new demand has Salons and Spas expanding their menus to include men's standard bikini wax or a Brazilian bikini wax, and it's not coming cheap; in major metro areas men are paying up to $150 for these services. With the ever increasing popularity of "going smooth" you should have a wax on hand for the job. I would also strongly recommend No Scream Cream. Men can use this topical numbing cream 30-45 minutes before waxing sensitive areas to DRAMATICALLY reduce waxing pain!